The CMV Group hosted the official opening of a state-of-the-art dealership at Albury-Wodonga in the presence of more than 300 VIP guests on Friday, May 11. Arne Knaben, president and CEO of Volvo Group Australia, officiated at the opening. He said the success of the Albury-Wodonga dealership was key to the Volvo Group for two reasons: the first was the considerable business growth in the region and the second was the critical need to support the heavy duty-transport network operating between Melbourne and Sydney. "Last year, we recognised the need to increase our presence in this region, and we would like to thank CMV for their substantial investment constructing this impressive new facility on a greenfields site," Mr Knaben said. "Taking over the Albury-Wodonga operation is a logical expansion for CMV, as they are the major distributor of Volvo Group products and services in the state. I know our customers will benefit from the experience and professionalism that CMV will bring to this important regional centre." 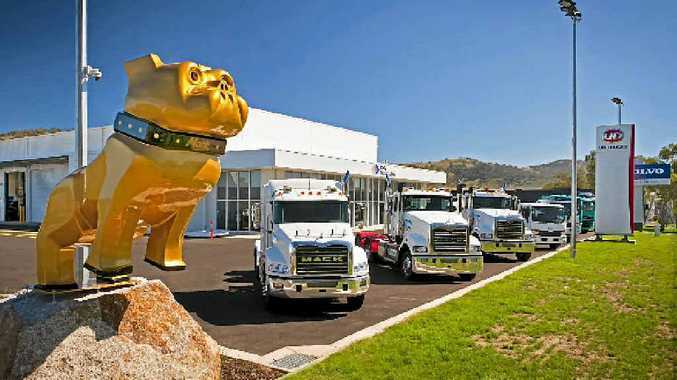 CMV joint managing director Paul Crawford said the development of the Albury-Wodonga Dealership in McKoy St was an important link in CMV's network of purpose designed, heavy duty truck and bus dealerships. "These dealerships now allow our customers convenient B-double and bus access to strategically located dealerships throughout Victoria and South Australia," he said. "We are delighted to be part of the dynamic growth of the Albury-Wodonga region and look forward to building and strengthening the business in the years ahead. We look forward to continuing to develop our relationship with existing customers and developing new ones. "As far as the new dealership is concerned, we would like to extend an open invitation to any operator in the region to come in and meet us and inspect our new facility. We will support all customers in the Albury-Wodonga region as well as offering support to any operator on the busy Melbourne to Sydney, Hume Highway link." Dealer principal Darren Cowan said the new dealership location was chosen to ensure there would be plenty of parking space for B-doubles. The new site also included an in-ground pit, overhead crane, lifting legs, wash bay and driver rest facilities. "We are selling new and used," said Darren, "and of course, providing first-class service with rapid turnaround times. We understand that every minute off the road translates into lost revenue, so we strive to get our customers' vehicles back into operation as quickly as possible, without cutting any corners. "We'd like to invite everyone in the region who's got a Volvo, a Mack or a UD truck; come in and meet us and see what we can do for you."